Nate Smith does not have any MLB stats for the season. Draft: 2013, Los Angeles Angels, 8th rd. September 9, 2018 Salt Lake Bees activated LHP Nate Smith from the 7-day injured list. April 5, 2018 Salt Lake Bees placed LHP Nate Smith on the 7-day disabled list. January 12, 2018 Los Angeles Angels sent LHP Nate Smith outright to Salt Lake Bees. 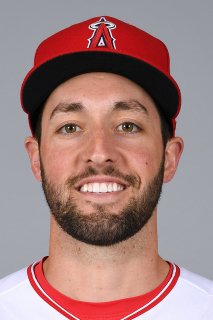 January 9, 2018 Los Angeles Angels designated LHP Nate Smith for assignment. October 2, 2017 Los Angeles Angels recalled LHP Nate Smith from Salt Lake Bees. September 1, 2017 LHP Nate Smith assigned to Salt Lake Bees. June 24, 2017 Salt Lake Bees sent LHP Nate Smith on a rehab assignment to AZL Angels. May 15, 2017 Salt Lake Bees placed LHP Nate Smith on the 7-day disabled list retroactive to May 13, 2017. May 9, 2017 Salt Lake Bees activated LHP Nate Smith from the 7-day disabled list. April 6, 2017 Salt Lake Bees placed LHP Nate Smith on the 7-day disabled list. March 13, 2017 Los Angeles Angels optioned LHP Nate Smith to Salt Lake Bees. November 18, 2016 Los Angeles Angels selected the contract of Nate Smith from Salt Lake Bees. February 2, 2016 Los Angeles Angels invited non-roster LHP Nate Smith to spring training. August 5, 2015 LHP Nate Smith assigned to Salt Lake Bees from Arkansas Travelers. July 22, 2015 Arkansas Travelers activated LHP Nate Smith from the temporarily inactive list. July 5, 2015 Arkansas Travelers placed LHP Nate Smith on the temporarily inactive list. December 23, 2014 Los Angeles Angels invited non-roster LHP Nate Smith to spring training. September 18, 2014 Arkansas Travelers activated LHP Nate Smith from the 7-day disabled list. August 2, 2014 Arkansas Travelers placed LHP Nate Smith on the 7-day disabled list. May 22, 2014 LHP Nate Smith assigned to Arkansas Travelers from Inland Empire 66ers. April 2, 2014 LHP Nate Smith assigned to Inland Empire 66ers from Orem Owlz. June 17, 2013 Orem Owlz signed LHP Nate Smith. June 14, 2013 Los Angeles Angels signed LHP Nate Smith.